Cinematografica is an Ultra Condensed Small Caps typeface created by Francesco Canovaro, developing his previous "Aliens & Cows" Typeface and used in the advertising campaign for Lucca Comics 2017 Festival. The family features eight weights from thin to heavy with open type alternate glyphs and some full word ligatures (accessible by typing an underscore after words like "and", "or", "the"). 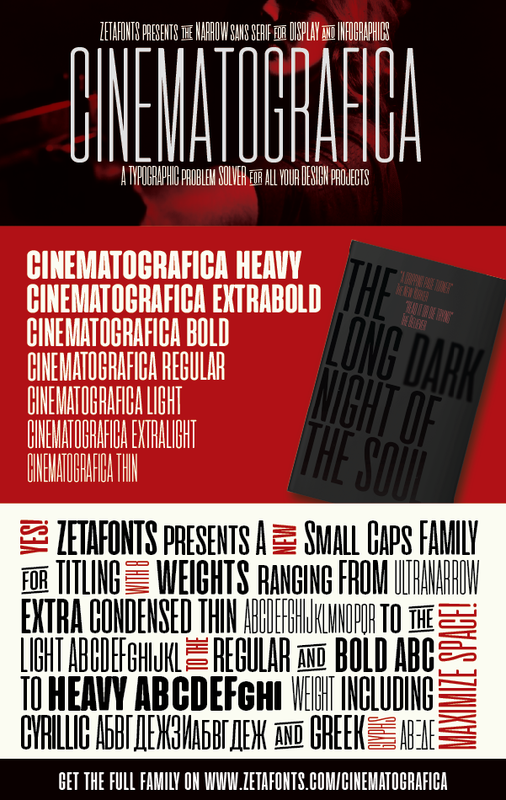 Cinematografica extra narrow width allow for extreme space-saving situations like movie posters and screen infographics.